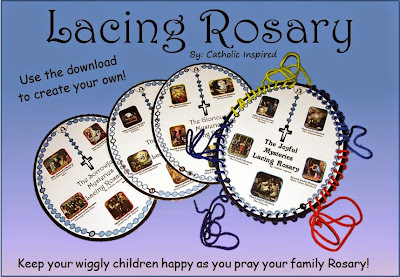 Home » Divine Mercy » Jesus » Liturgical Ornaments » St Faustina » Divine Mercy eBook for Children - Great learning tool! Divine Mercy eBook for Children - Great learning tool! 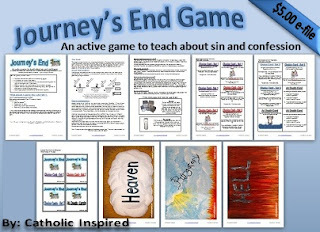 I mentioned in a post last week that Jonathan and I are working on an ebook to teach children about the Divine Mercy. Well, today I'm thrilled to tell you that it's now available for you to purchase! 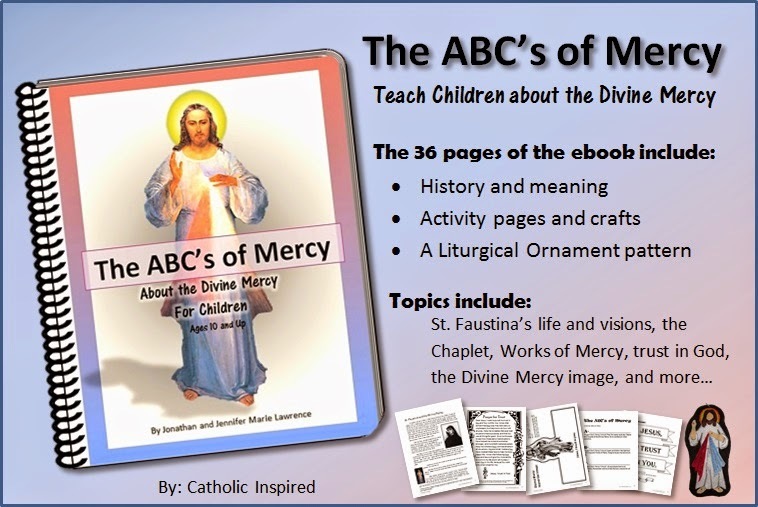 This 36-page ebook is packed full of information to help you teach your kids about St. Faustina and the Divine Mercy! 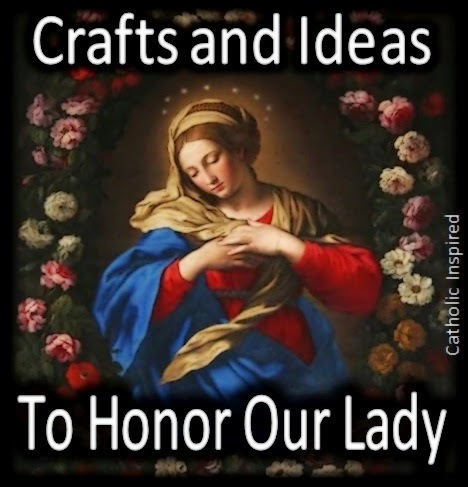 Aside from all the pages which include information about the history and meaning of the Divine Mercy, you will also find crafts and activity pages! Why do I need mercy? How do I ask for mercy? How are we called to be merciful? All these pages are black and white so they are gentle on your printer's ink. The cover and the last page have color, but these two pages can be printed in grayscale with no problems. We recommend this book be used with children ages 10 and up because of the reading material which is included in it. 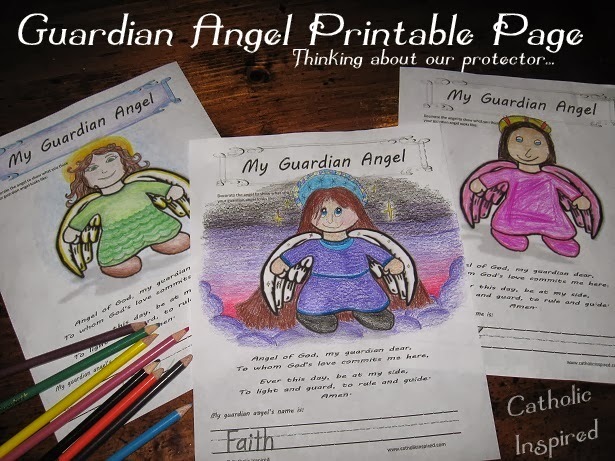 However, children under the age of 10 can enjoy the art activities and some of the simpler topics. Feel free to include your younger children in the discussions and add your own explanations to help make this information appropriate for their level of learning. 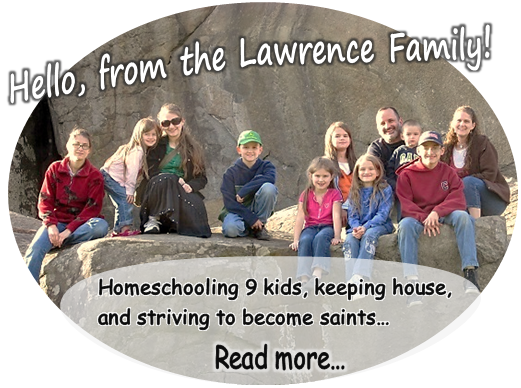 Our family printed the ebook pages out and added them to a three-ring binder (one for each child). Most of the pages stayed together in the binder but some of the crafts the kids made to decorate our home. 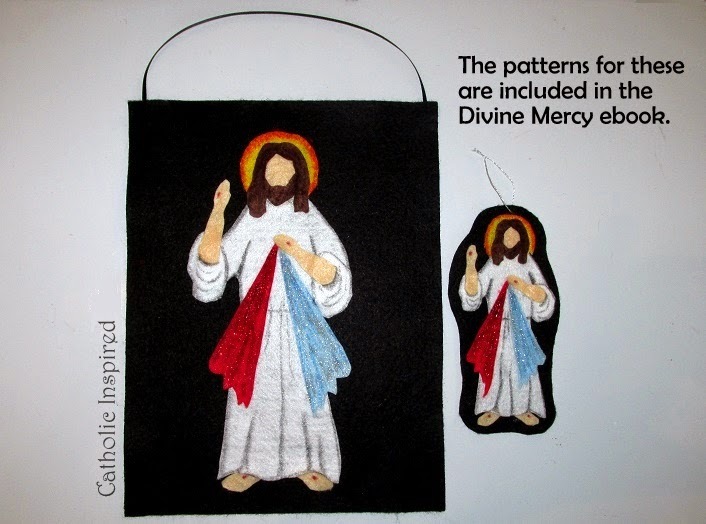 I've also included the patterns for the Divine Mercy Liturgical Ornament. 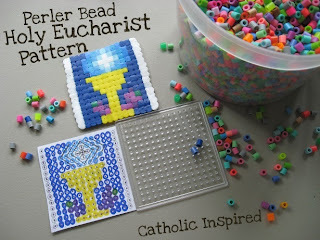 The ebook also has a larger pattern so you can create a banner to hang in your home. 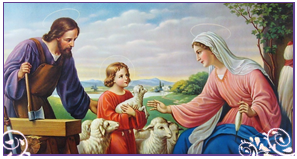 In the processes of creating this ebook Jonathan and I have really deepened our understanding of the Divine Mercy and it taught us how necessary it is for us, our family, and our society. We have enjoyed our time working together and we are pleased with the ebook and how it turned out. We hope you learn and grow from this book as well. You and your husband did an awesome job on this! 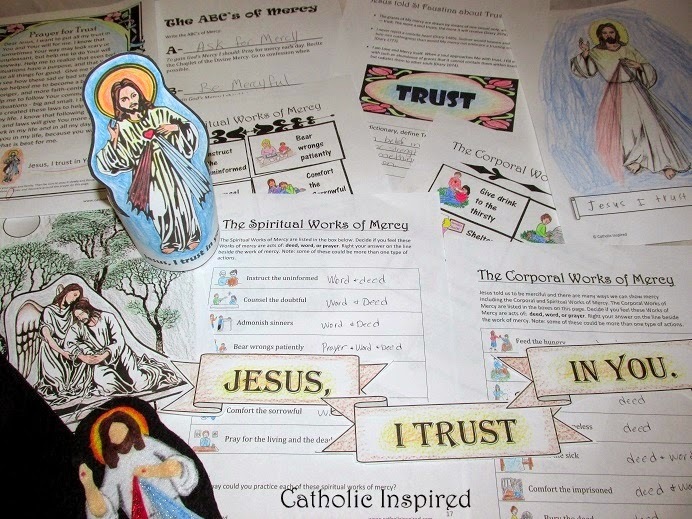 What a beautiful treasure to learn all about Divine Mercy! Thank you! As a subscriber can I get this for free? Sorry, this one you need to purchase. I like being able to give learning tools away for free, but I do need to sell some so I can pay the bills and keep the site going.